J.CO Philippines has released their Halloween Donuts which are perfect as giveaways for your Halloween Parties, Family or Barkada gatherings, or as Pasalubong this coming Undas. The two flavors are available in all J.CO branches for P42.00 each, P252.00 for a half dozen, P380.00 for one dozen, and P592.00 for two dozens. 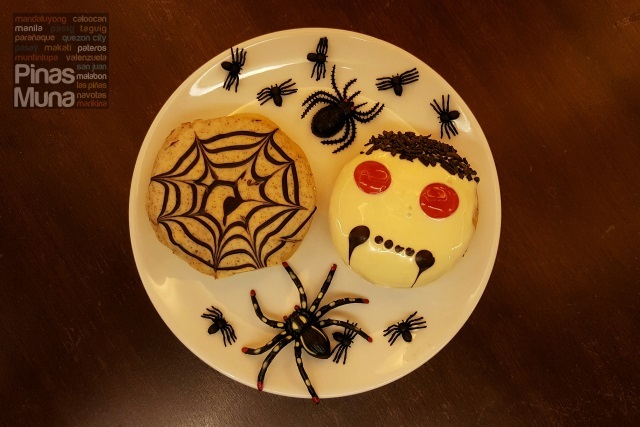 J.CO Halloween Donuts are available only until November 2, 2015. 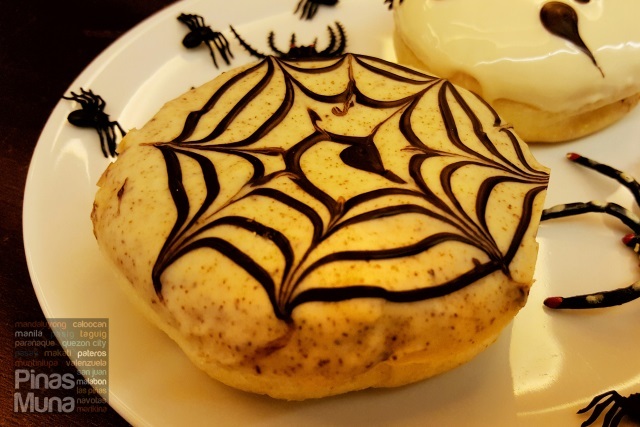 The Trapped in a Web Donut is filled with Tiramisu Cream, layered on top with Chocolate Tiramisu and decorated with a spider web using Dark Chocolate. 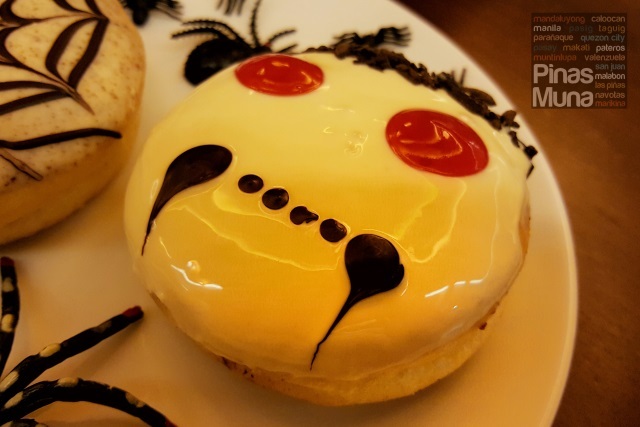 The Nutty Dracula Donut is filled with peanut butter and layered on top with white chocolate, and decorated with dark chocolate fangs, round red eyes using strawberry sauce and hair made of chocolate sprinkles.